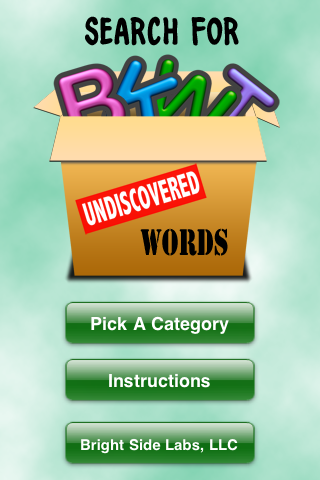 If you’ve been wondering what I’ve been up to lately, here it is: Undiscovered Words – The Word Search app for the iPhone. As I write this, it’s featured in the New and Noteworthy section of the Word Games category in the app store. The game itself plays just like the word searches you’ve done on paper, except the puzzles are generated automatically, so you’ll never play the same exact puzzle twice. Letters in the game are highlighted as you drag your finger over them, so you can actually see what you’re picking, and words are automatically crossed off the list when you find them. The app has over 100 categories to choose from, so you can play quite a while!